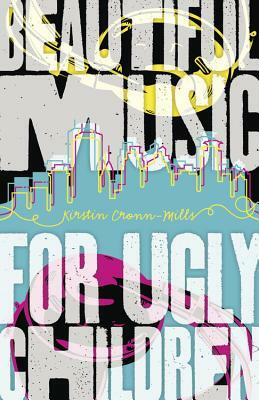 Beautiful Music for Ugly Children by Kristin Cronn-Mills. Grades 9 and up. Flux, October 2012. 288 pages. Reviewed from egalley provided by the publisher via Netgalley. Gabe is finally embracing his B side. Born Elizabeth, Gabe has always known he was a boy. Now that graduation is looming, he's decided to live as Gabe full-time. His parents are having a hard time dealing with it, but he's got the support of his BFF (and, incidentally, his crush) Paige. Plus, there's his weekly radio show, Beautiful Music for Ugly Children, where he connects with a community of listeners, despite the late air time. Not everyone in his small Minnesota town is supportive, though, and when people start to threaten his family and friends, Gabe starts to question whether being true to himself is worth what might happen to his loved ones. This is a beautifully written story that shows the pain of being caught between two lives, of having to make decisions when there aren't really any choices to be had. It's a story of finding beauty and love where you'd never expect it. And it's a story about the B side in everyone. This book wasn't even on my radar, but then I got an email from Kelly basically demanding that I request the title from Netgalley. She, however, neglected to mention the author. Guys, this book had me at Kristin Cronn-Miller. I was a big fan of Cronn-Miller's The Sky Always Hears Me and the Hills Don't Mind and I was eager to pick up her next book. It doesn't disappoint. First of all, the writing's gorgeous. Kristin Cronn-Miller is a lady who knows how to turn a phrase. She's also a master of voices. Not once did Gabe's guy voice ring false. He's an incredibly real character, complete with self-doubt (crippling, sometimes) and an incredibly determination. Gabe tells his story through the lens of the music he's selecting and playing for his radio show. Music is a huge part of Gabe's identity, so it's fitting that his late-night radio show is one of the few places where Gabe can truly be himself. No one can read him over the air and he's free to experience his "new" identity with no holds barred. One of his first radio shows explores B sides, the often unplayed second sides of single record releases, and this is a theme that carries throughout the book. This is a book for music lovers, a book for anyone who's had a secret, a book for anyone who's ready to embrace their B side (c'mon, we all have a B side). This is a book for anyone who's looking to fall into a great story. Of course, teens interested in GLBT stories might have a special interest in this book and I'd hand it to fans of Parrotfish by Ellen Wittlinger and Almost Perfect by Brian Katcher. Beautiful Music for Ugly Children will be on shelves October 8.